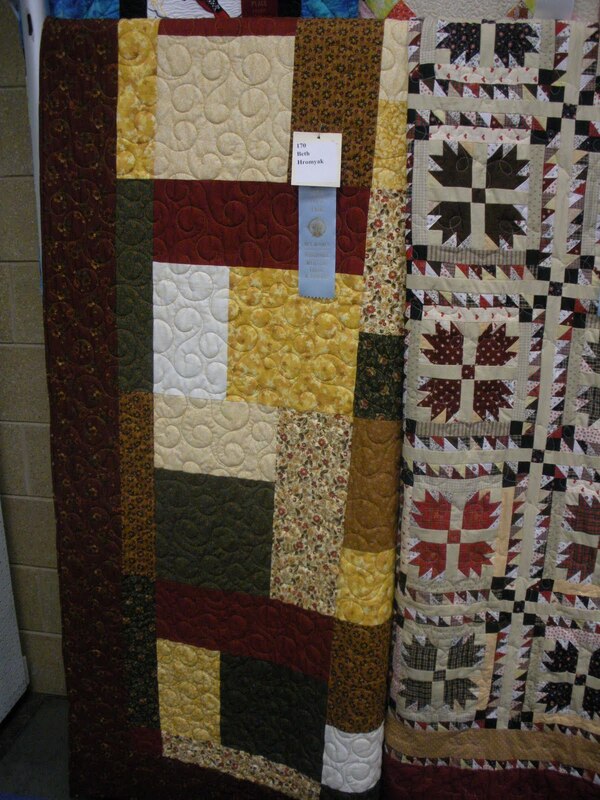 Today is Opening Day at the 2009 Iowa State Fair. I’m not going to the fair today, I’ll be working a nine hour day. However, last night was a Special Preview of the Fabric and Threads Exhibits for anyone who entered a project and their guests. 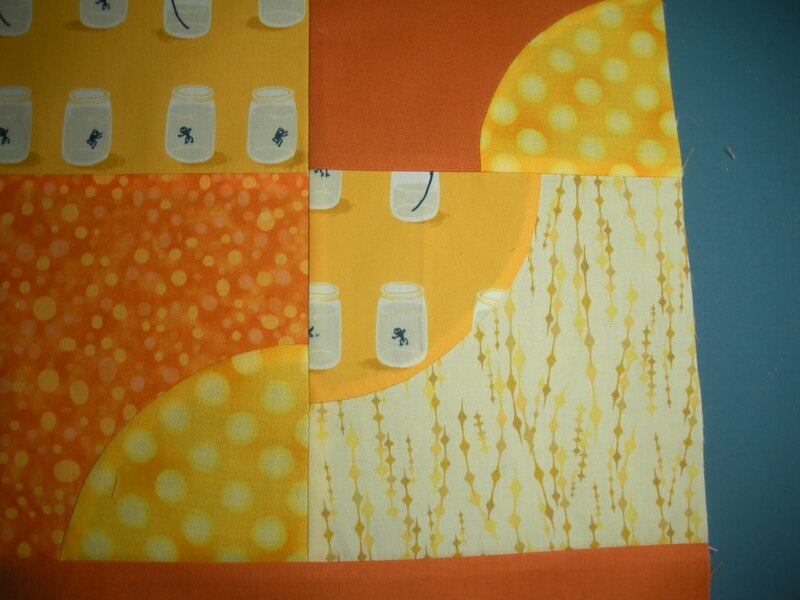 I went with the seven women who make up my new small group, Seams Sew Easy. 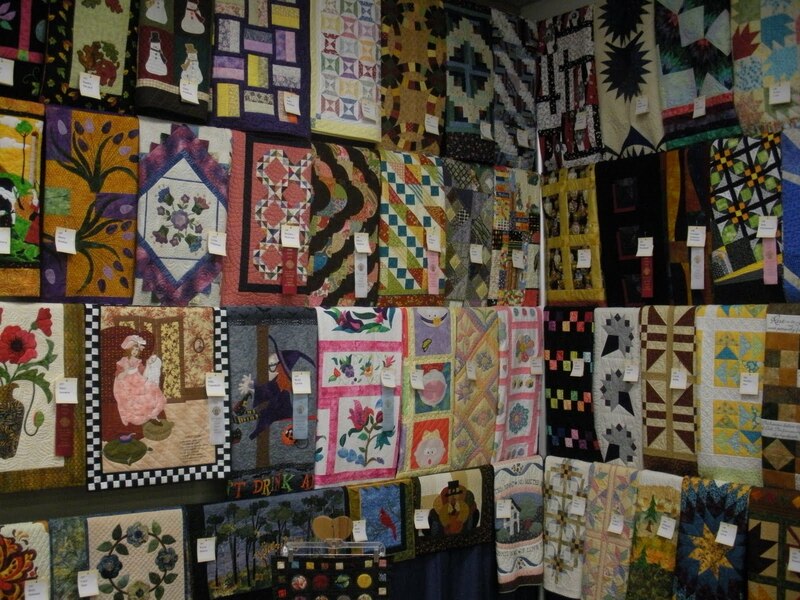 Upstairs, the rest of the quilts, knitting, tatting, embroidery, cross-stitch, garments, etc. 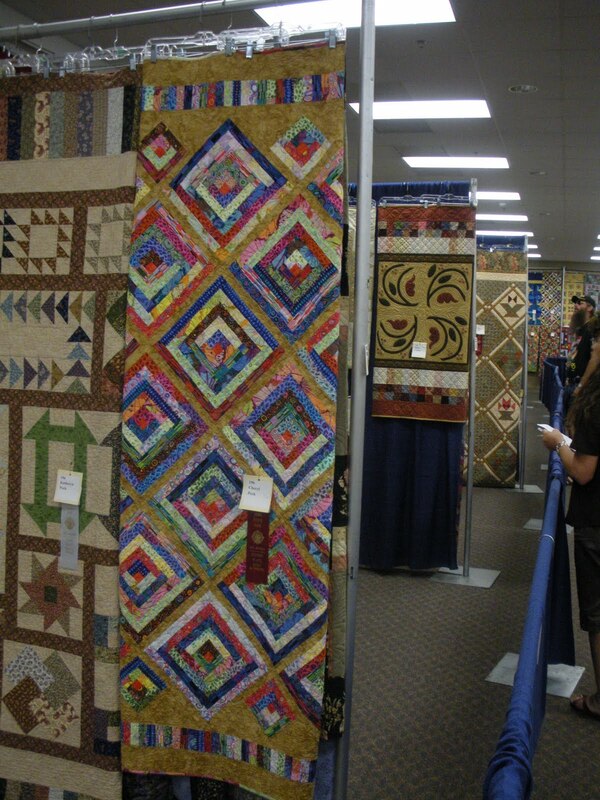 are all displayed in one large room. 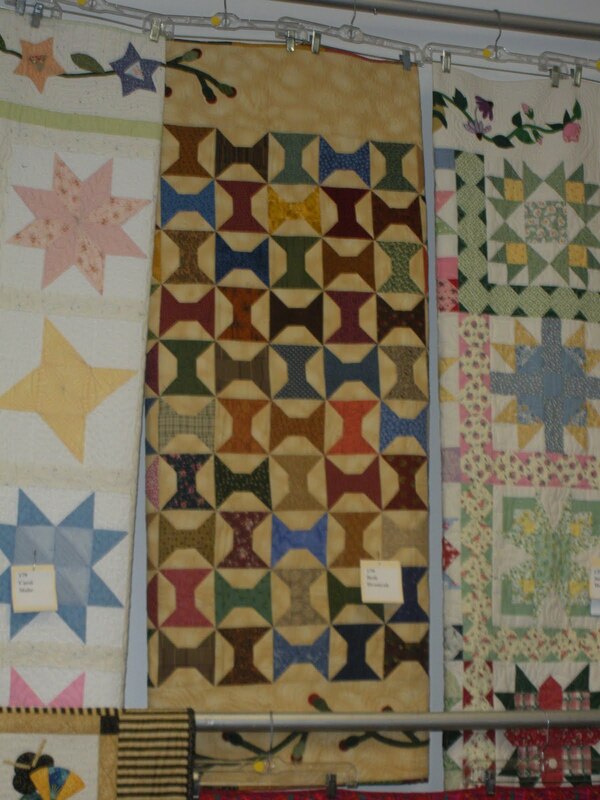 Sadly, with most of the quilts, you only get to see a 2.5 foot by approx. 5 foot slice. 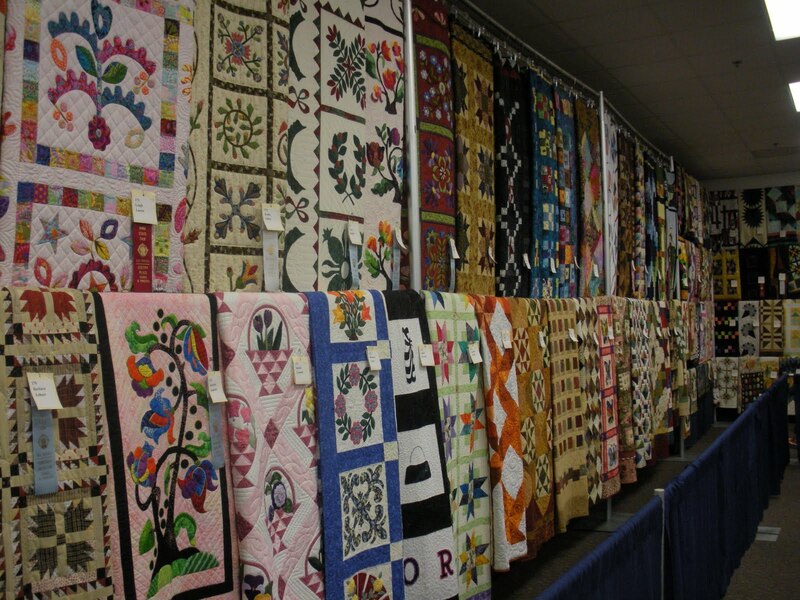 It’s a form of torture for a quilt lover to not let them see the entire work of art. Alissa likes wonky, and asked for no triangles. Other than that we had free reign. 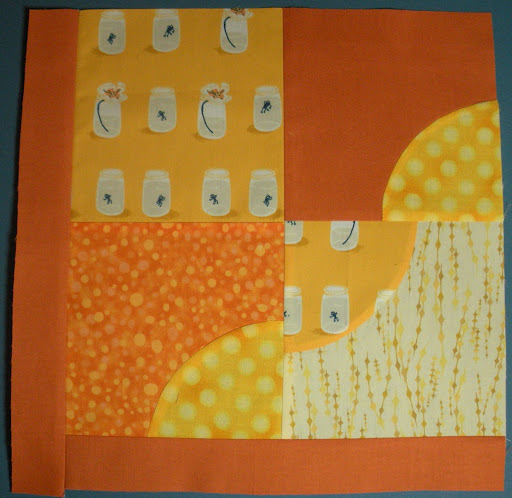 So I went for an assymetrical block with curved piecing to accent it. Hope you like it, Alissa! Your blog looks great and so does your handbag. I'd give it a ribbon! It is fun to see your photos and comments from last night. I had a great time, too. 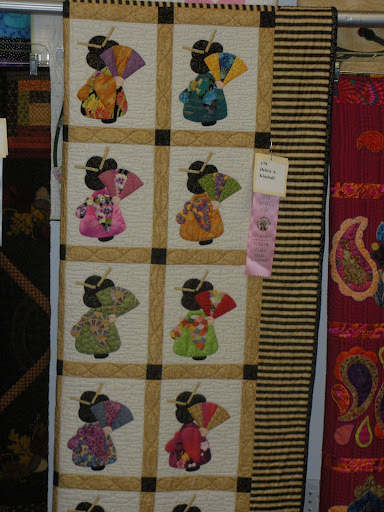 What a great recap of the fair preview! Thank you for sharing!! 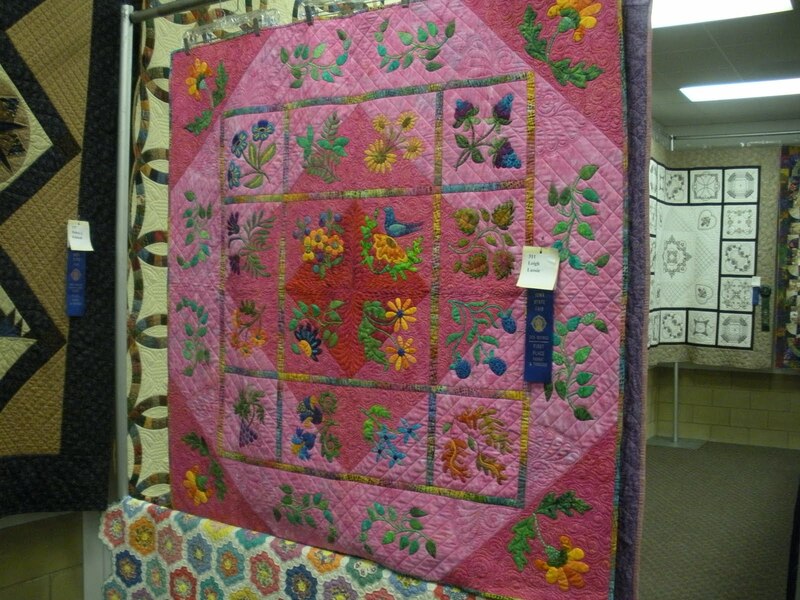 Doris, you quilt was a beauty! Why did they put it next to silly flip flops!!! darn it! Looks like fun though! I've never done anything like that… Good for you! 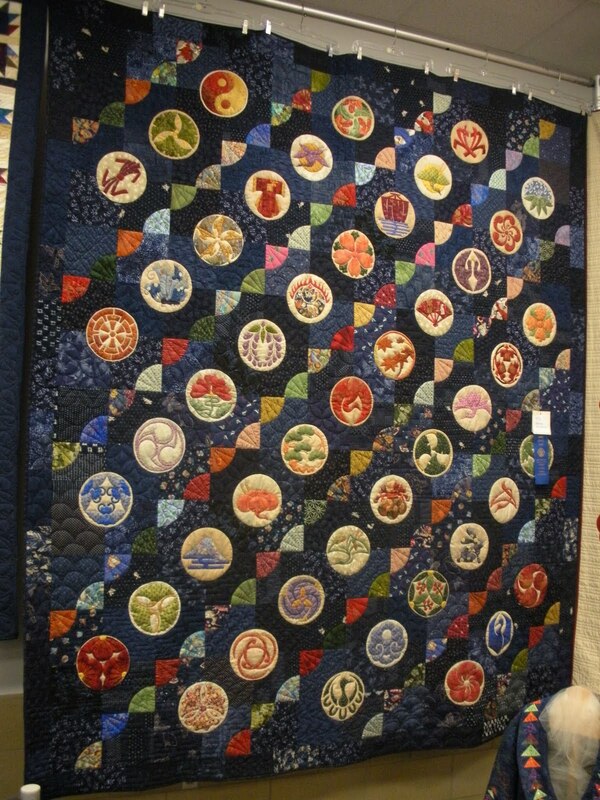 I give you a blue ribbon! You're so brave to enter your work! It looks great hanging on those walls with all those other masterpieces. Ooops…and I know Theresa too! I will be seeing these on Saturday (and the only reason for that is I have to work at Drake Day at the Fair). They look lovely! thanks for sharing! 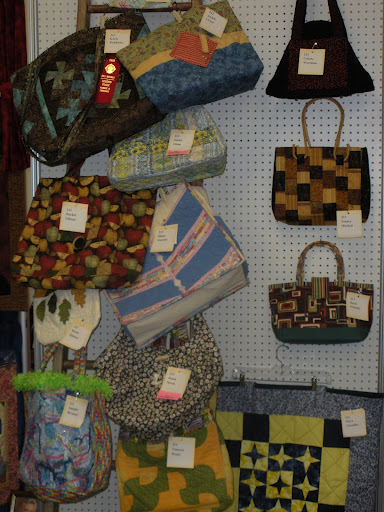 Thanks for the photos from the fair. 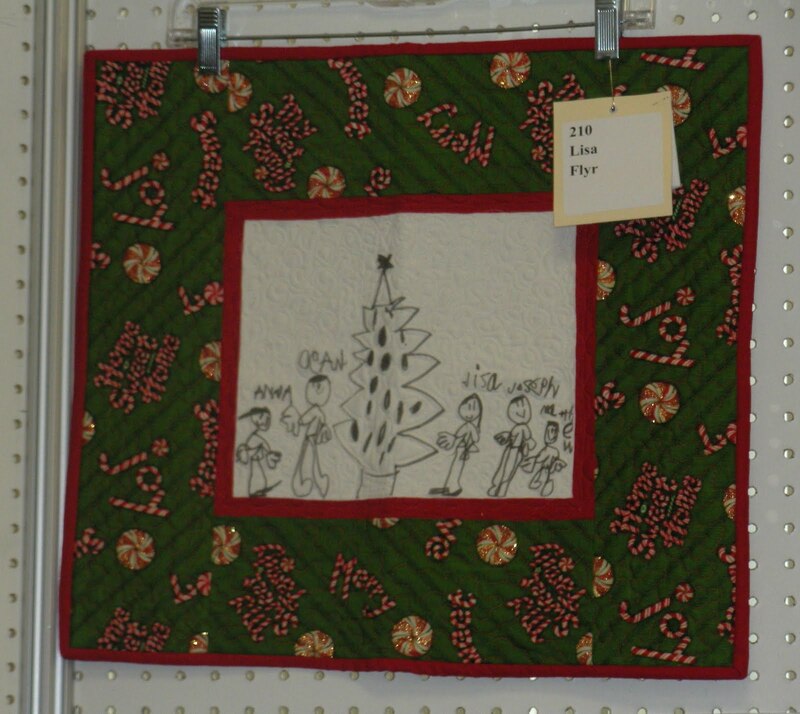 I won't get down there this year, so I'll rely on shared photos from generous gals like you. How nice that there are so many entries, but how sad that such a small portion of each Q is all that the public can see. 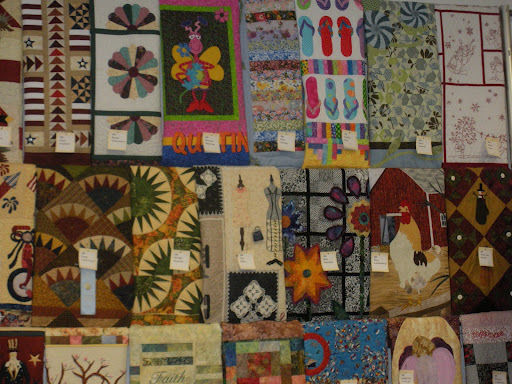 wow great pictures from the fair, wish i would have been there, all those quilts on the wall!